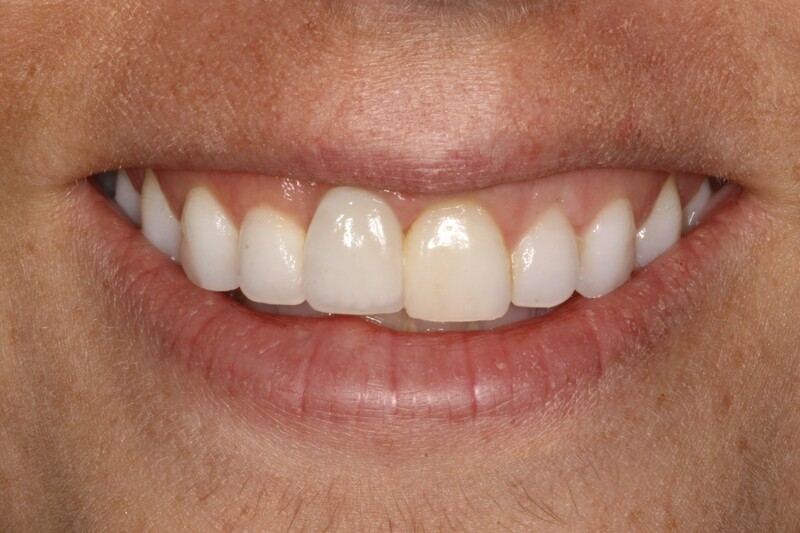 This 30 year old female was concerned about an old implant crown being discolored, but after documenting her case and educating her about proper smile design she realized that her problems went beyond her discolored implant crown. This young adult was never happy with her smile and was told by numerous dentists that nothing could be done. After visiting our office she was educated about the best way to transform her smile. This 56 year old male in the hospitality business was unhappy with the appearance of his smile. 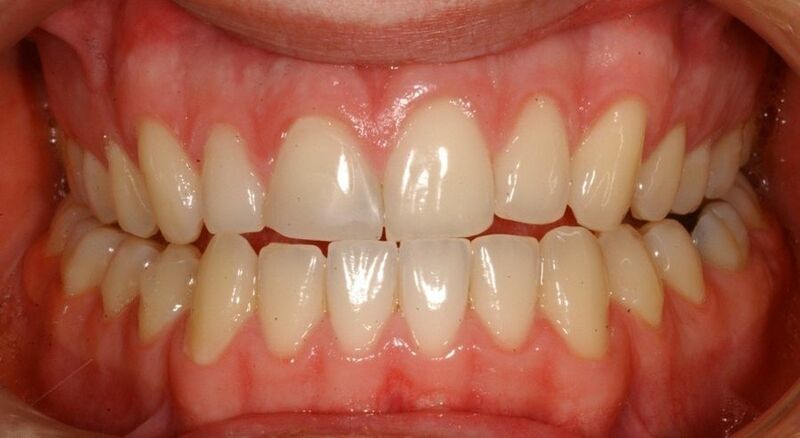 Previous laminates on this teeth were unsightly and his lower teeth wore away due to problems with his bite. 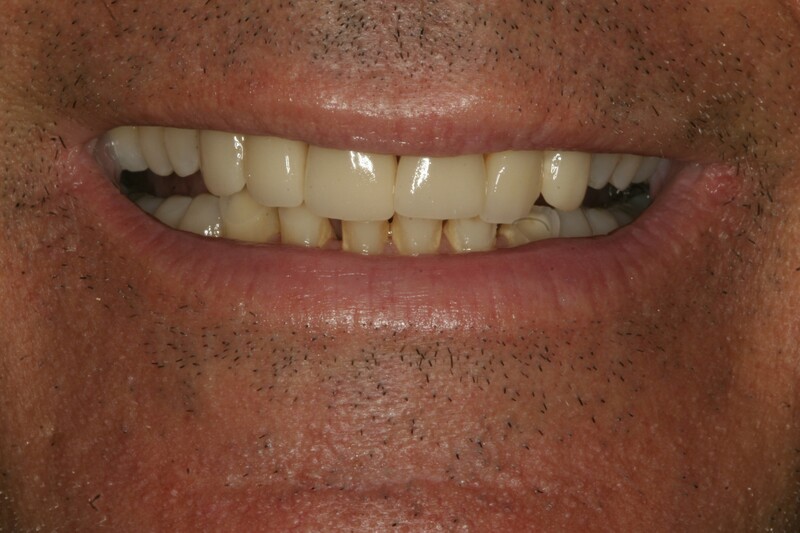 This 47 year old male in the financial business was very apprehensive about his mouth. After years of suffering, and losing many teeth, he decided to do something about it. 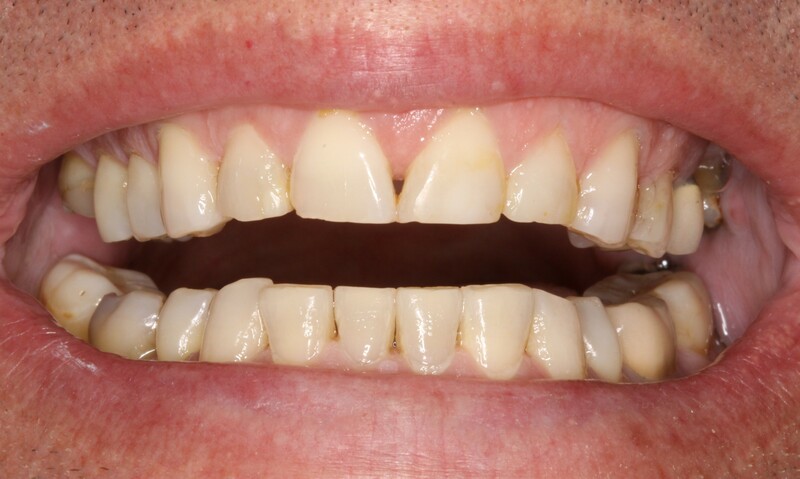 This 27 year old Brazilian suffered from the results of improperly placed posterior restorations as well as parafuntion leading to significant anterior wear and loss of vertical dimension. 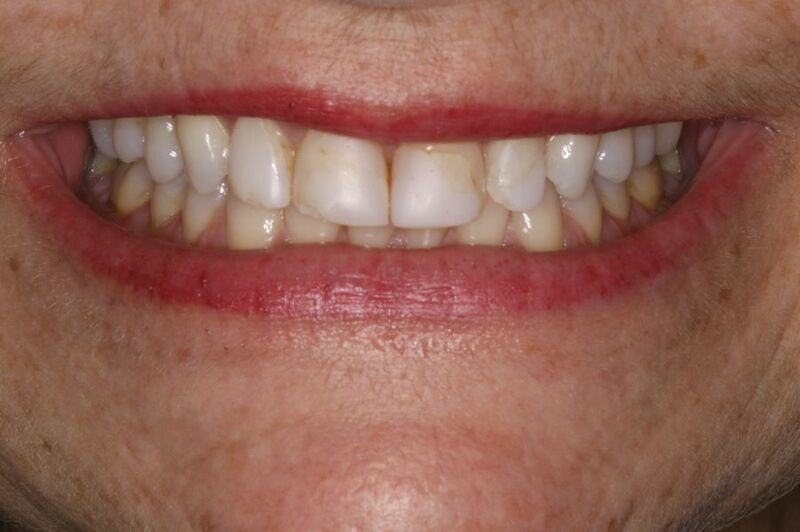 This 52 year old dentist was unahappy with her smile and occlusal wear. 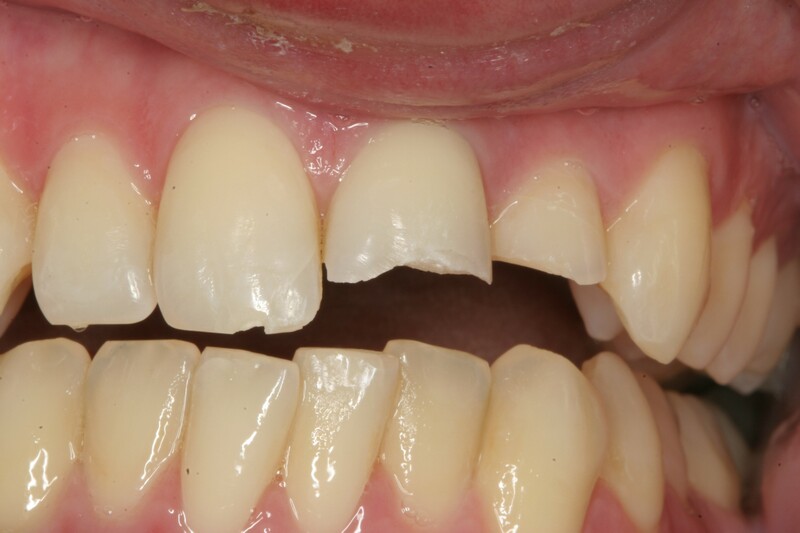 Failing composites and occlusal disharmony lead her to seek comprehensive dentistry to restore form and function as well as esthetics. This 24 year old aspiring actor was unhappy with his smile. 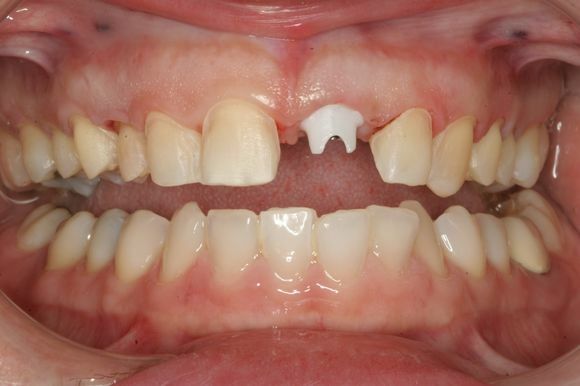 He suffered from occlusal and skeletal disharmony and asymmetry of his maxillary incisals. This 60 year old lady was unhappy with the appearance and function of her mouth and was self conscious about smiling. 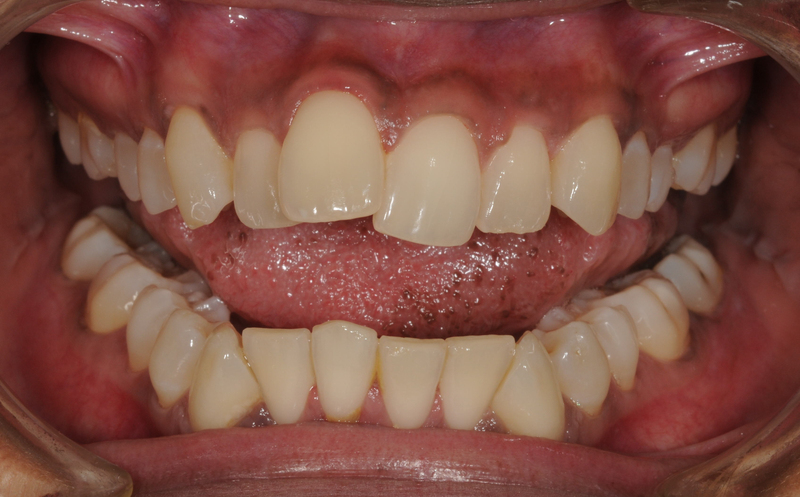 After preliminary orthodontic and periodontic treatment, full mouth reconstruction was started. This financial analyst who appeared on television often, was unhappy with his smile and wanted to do something about it to give him confidence when communicating with others. 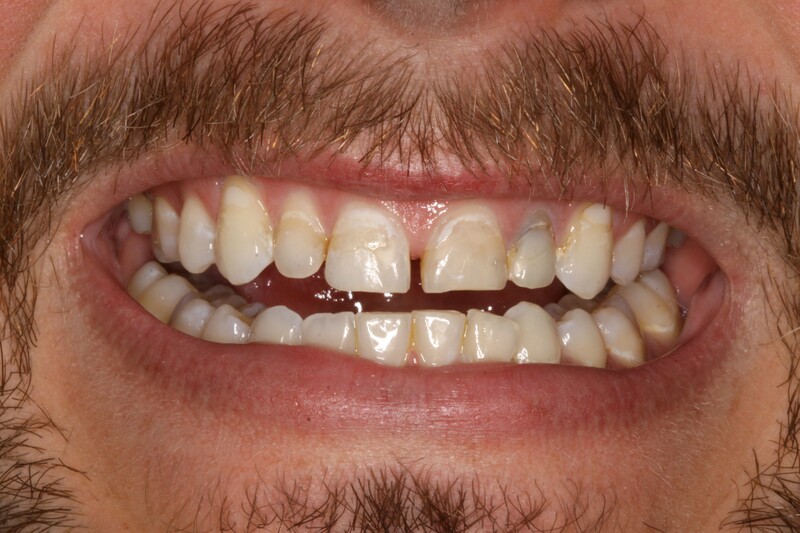 This 24 year old male sustained trauma to his front teeth. He was seen as an emergency where he was taken out of pain, and temporarily restored so that he can function and smile. 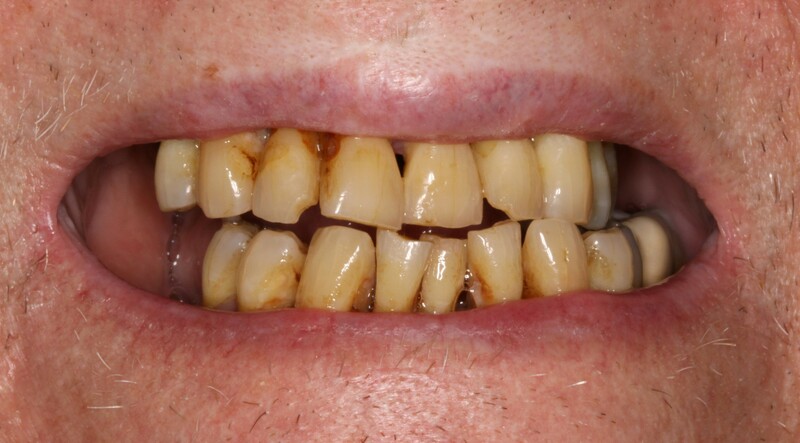 This 55 year old male had a lifetime of dental problems. An improper bite lead to the destruction of his natural teeth. A comprehensive solution was needed to restore his mouth. 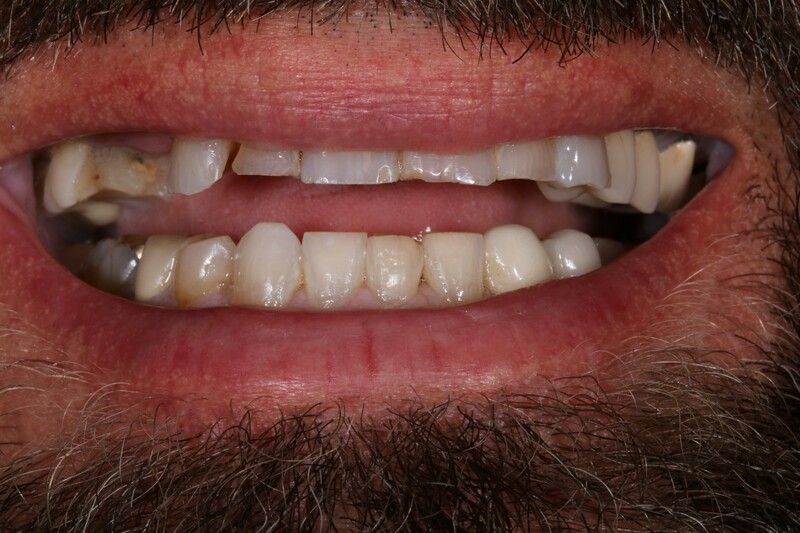 This 55 year old male always had a complex about his teeth and was quite phobic about visiting the dentist. Most dentists he visited were unsure about how to treat his case. 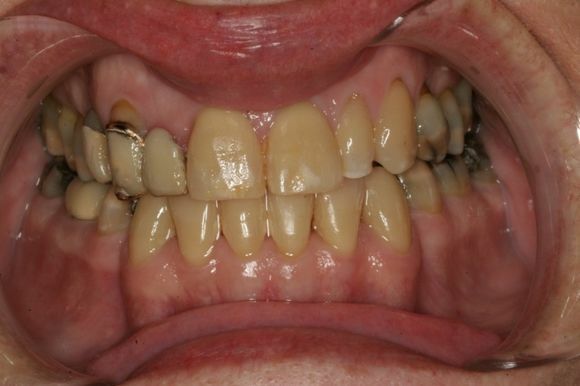 This 73 year old male was unable to function due to the periodontal destruction of his teeth. All of his teeth were extremely mobile and it uncomfortable to eat and speak. 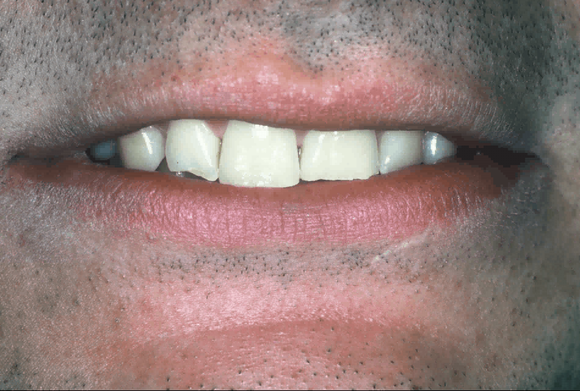 This adult from New Jersey was unhappy with his smile and had considerable wear of his teeth due to parafunctional habits. 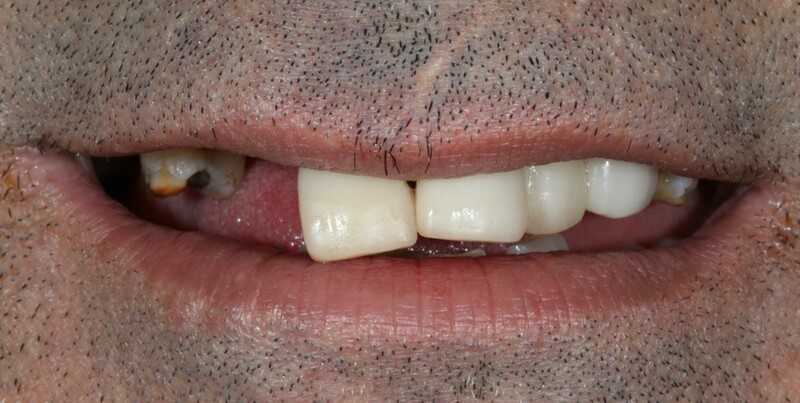 He was starting to have symptoms on this existing teeth due to the traumatic bite he had. This 44 year old woman had a traumatic accident being pulled by a large dog into a cement staircase. 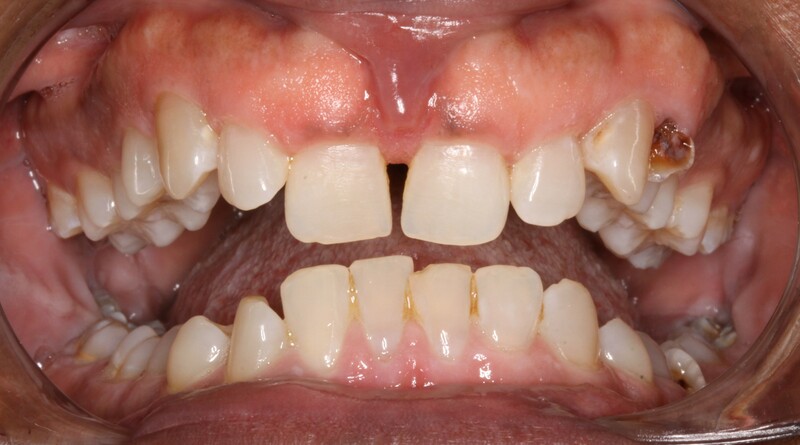 She suffered a severe complex laceration of her upper lip past the vermillion border, horizontally fractured her left central incisor mid root, and fractured the edges of her incisors.